First up, our friends at Grain & Grape will be supplying & talking you through all equipment required for your very own home brewing kit so you can master the art of making the perfect beer. The guys will guide you through the brewing process so you can then experiment at home with your new kit & supplied ingredients. Finally, sit back and enjoy a beer tasting (with snacks!) 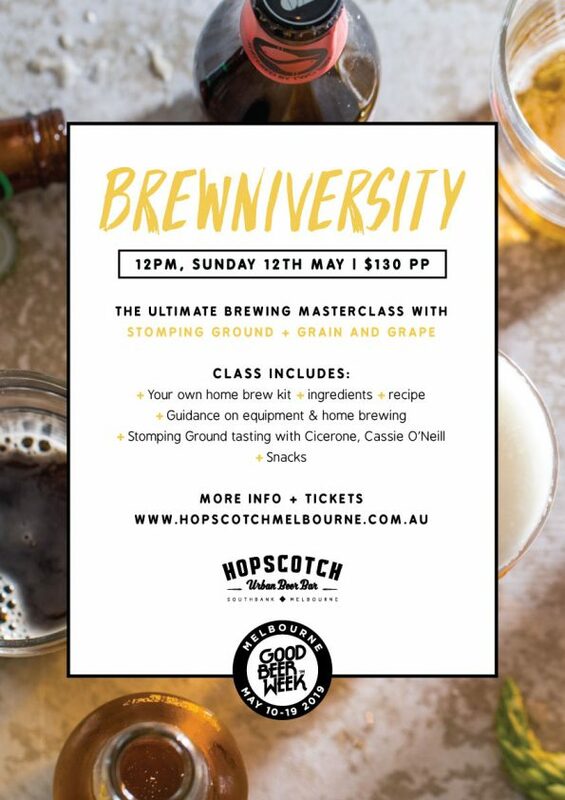 facilitated by Australia’s first female Cicerone, Cassie O’Neill, from Stomping Ground who will showcase some of her favourites from the portfolio. Book your spot online, don’t miss out!